Molly Doyle fell in love with creativity from the moment she could hold a crayon, and her love of bright colors and visual storytelling took shape from there. The urge to share her ideas visually translated throughout her life as she always found her way back to being a creative, be it film, photography, graphic design or writing. This relationship continues as Molly brings her passion to B2C Enterprises. Molly’s goal is to use her combined love of imagery and communication to inspire and motivate people while leaving a lasting impression. 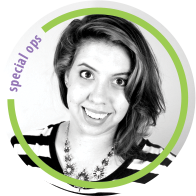 As a graduate of James Madison School of Media Arts and Design, Molly studied Digital Video and Cinema as well as minors in Art and Creative Writing. She brings an immense amount of energy, smiles, pride and work ethic to every client project at B2C because creativity is her first love. Molly also spends her free time volunteering her media skills with various non-profit groups, such as the Roanoke Rescue Mission, that touch her heart as well as serves as the Media Coordinator and designer for her church, Crossing Christian.